Why should iOS have all the fun? 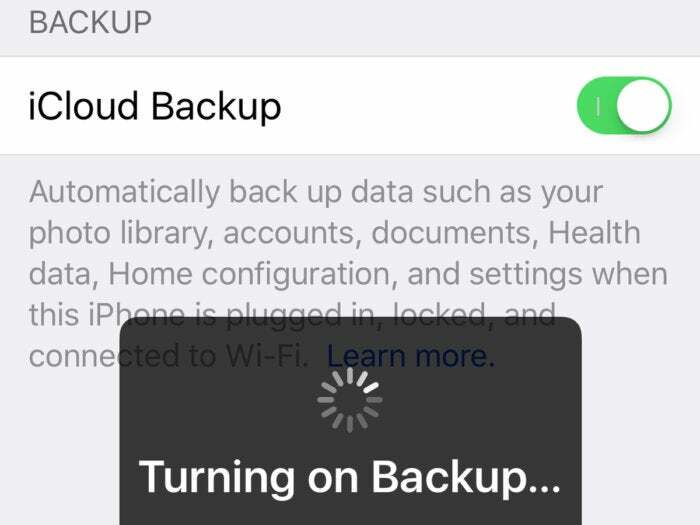 iCloud Backup has become a significant benefit for iOS users, especially those who switch out their devices on a regular basis—which, I would guess, is most of them. Thanks to iCloud Backup, restoring a phone is generally a pretty painless and surprisingly fast experience. On the Mac side, Apple has of course offered Time Machine since Mac OS X 10.5, and though it has had its bumps, it’s generally been improved to the point where it’s a solid backup option. And as someone old enough to remember when you needed expensive third-party solutions to back up your entire drive—much less provide advanced features like versioning—Time Machine will always be a bit of a marvel. Simple backups that happen with minimal need for user intervention? It’s hard to overstate how much of an improvement that was over the status quo: Time Machine is a wonderful technology, and while backups are far from an exciting topic when it comes to technology, they are one of those features that simply everybody needs to use. But Time Machine only works for on-site backups. If you want to make sure that you’re protected in the case of a catastrophic emergency—god forbid your house floods or burns down—then an off-site backup is still a key ingredient of a healthy backup strategy. But though Apple does offer cloud storage, it’s generally not sufficient to back up an entire Mac. Not only do they generally have bigger drives than iOS devices but, with an older and more open operating system like macOS, there are more bits and pieces to account for than with a carefully controlled system like iOS. Apple does provide the ability to back up multiple Macs to another Mac on your network using macOS Server; I recently set up the Time Machine Server option on my Mac mini and have backed up both my iMac and MacBook Air to a large external drive on my Mac mini. But, again, that only provides a safety net so long as nothing happens to that drive or the Mac mini to which it’s attached. The company also offers Migration Assistant, which is close cousin to the restore function from iCloud Backup, though it requires either a Time Machine backup drive or the previous Mac, which might again be of little help in the case of a catastrophic event. With the preponderance of cloud storage and our ever-increasing reliance on our digital technology, Apple shouldn’t stop with a half-solution for backing up one’s files on the Mac. Instead, the company should see it all the way through and provide a foolproof offering, much as it attempts to do on iOS. After all, the data on our Macs is just as valuable as those on our iPhones and iPads.